The Solving 9-11 books, "The Deception that Changed the World" and "The Original Articles," are both available through my website, www.Bollyn.com, or through on-line booksellers such as Amazon.com. The following is an audio file of Christopher Bollyn reading "9-11 Through the Eyes of an American Skeptic", Chapter One of Solving 9-11: The Deception that Changed the World. 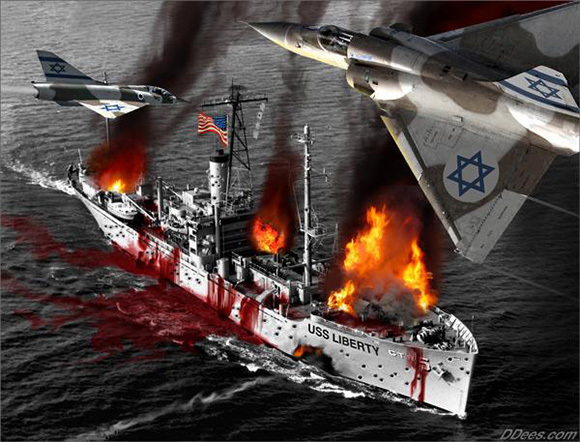 "9-11 Through the Eyes of an American Skeptic"
Someday, perhaps, if it's decided that the stories can be told, you'll see that the state [Israel] has been involved in acts that are a thousand times more dirty than anything going on in Colombia. These things were decided by the government, in cabinet meetings. As long as the government decides to do something, something that the national interest demanded, then it is legitimate. But if an individual wants to do the same thing, it isn’t. That’s just the way it is. It’s very simple. The following is an audio file of Christopher Bollyn reading "The Planes of 9-11," Chapter Two of Solving 9-11: The Deception that Changed the World. I sat with former Mossad chief Isser Harel for a conversation about Arab terrorism. As he handed me a cup of hot tea and a plate of cookies, I asked him, "Do you think terrorism will come to America, and if so, where and why?" As to the where, Harel continued, "New York City is the symbol of freedom and capitalism. It's likely they will strike the Empire State Building, your tallest building [he mistakenly thought] and a symbol of your power." - Michael D. Evans on what Israeli intelligence chief Isser Harel told him in September 1980, "America the Target," Jerusalem Post, September 30, 2001. The following is an audio file of Christopher Bollyn reading "America the Target: 9-11 and Israel's History of False Flag Terrorism," Chapter Three of his book, Solving 9-11: The Deception that Changed the World. "America the Target: 9-11 and Israel's History of False Flag Terrorism"
"Sink the Target - No Survivors"
Shimon Peres - "Frighten the West"
The Solving 9-11 books, "The Deception that Changed the World" and "The Original Articles," are both available through my website,www.Bollyn.com, or through on-line booksellers such as Amazon.com. 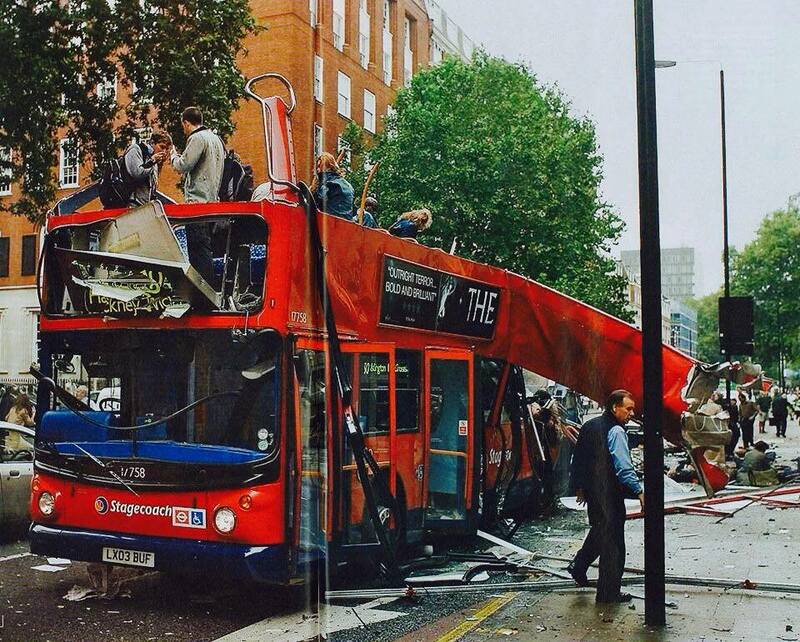 LONDON, July 7, 2005 - This chapter explains how the London bombings and 9-11, like other recent terror atrocities, occurred during military/security exercises that simulated precisely the very attacks that became real. The following is an audio file of Christopher Bollyn reading "The Terror Drills That Became Real: 9-11, the London Bombings and the Sinking of Estonia," Chapter Four of his book, Solving 9-11: The Deception that Changed the World. "The Terror Drills That Became Real: 9-11, the London Bombings and the Sinking of Estonia"
"This Is the Real One"
"The Ptech story is a crucial piece of 9/11 because the software was used to simultaneously coordinate the FAA with NORAD and the Secret Service." "Ptech was with MITRE Corporation in the basement of the FAA for two years prior to 9/11. 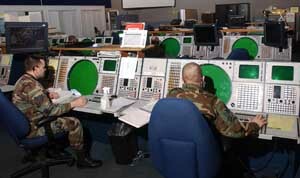 Their specific job is to look at interoperability issues the FAA had with NORAD and the Air Force in the case of an emergency. If anyone was in a position to know that the FAA - that there was a window of opportunity or to insert software or to change anything - it would have been Ptech along with MITRE." "THE HEART OF THE MATTER" - On 9-11, Northeast Air Defense Sector (NEADS) radar operators were confused by the false data "injects", which resulted in flawed and delayed communications between the FAA and the military. The following is an audio file of Christopher Bollyn reading "Why Did Crucial Computer Systems Fail?" Chapter Five of his book, Solving 9-11: The Deception that Changed the World. "Why Did Crucial Computer Systems Fail?" "Terror is theatre... Theatre's a con trick. Do you know what that means? Con trick? You've been deceived." The following is an audio file of Christopher Bollyn reading "The Florida Connection" Chapter Six of his book, Solving 9-11: The Deception that Changed the World.